In June 1941 the Wehrmacht launched Operation Barbarossa: the attack on the Ussr and the largest land invasion in recorded history. Operation Barbarossa: the Complete Organisational and Statistical Analysis, and Military Simulation focuses on 1941 when the Ussr came closest to defeat. It includes full analyses of the belligerents' armed forces, weapons, equipment, personnel, transport, logistics, war production, mobilisation and replacements. The work employs a unique military simulation methodology, extending from the tactical to the strategic level, and applies this methodology to each of the belligerents. 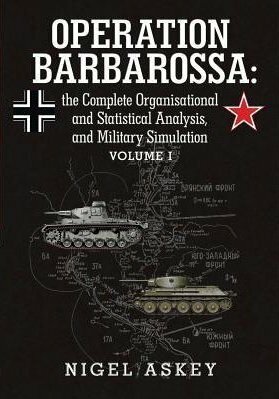 Volume I, the first of six volumes, is primarily concerned with the structure of this methodology, but uses many of the events and weapons from Operation Barbarossa as illustrative case studies. The complete work represents the most historically accurate, advanced and comprehensive analysis of the first six months of the largest and most decisive military campaign of WWII.